Off-road trucks are all the rage this year. Every truck manufacturer is offering at least one special edition designed to give you real “Baja ready” capabilities, including impressive engine power and special off-road suspension. 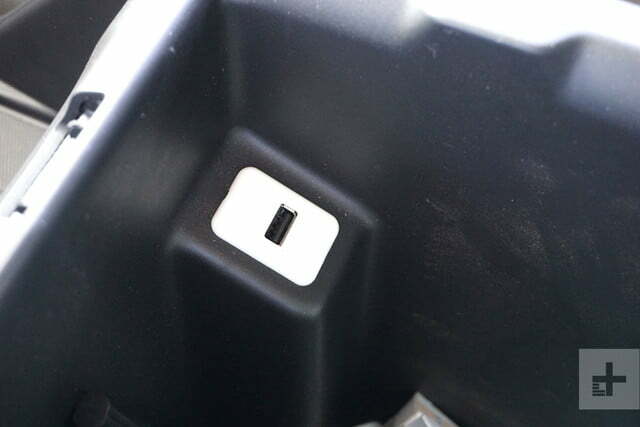 But if you look under the surface, you’ll see that many of these are just a light shock upgrade and a skid plate. If you leave out the appearance packages, the list of serious contenders is a lot shorter. 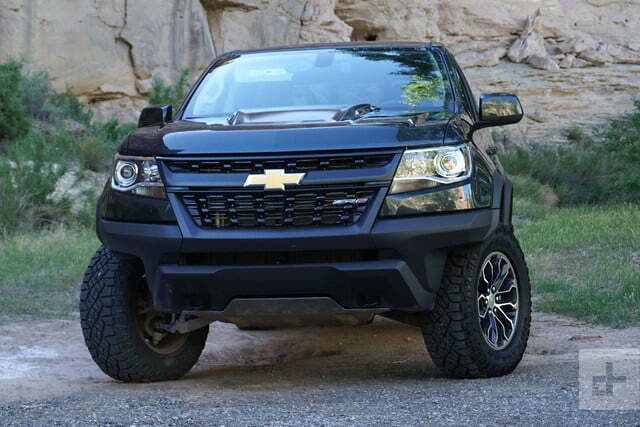 Now Chevrolet has added its entry with the 2017 Colorado ZR2, and this is a truck to be reckoned with. 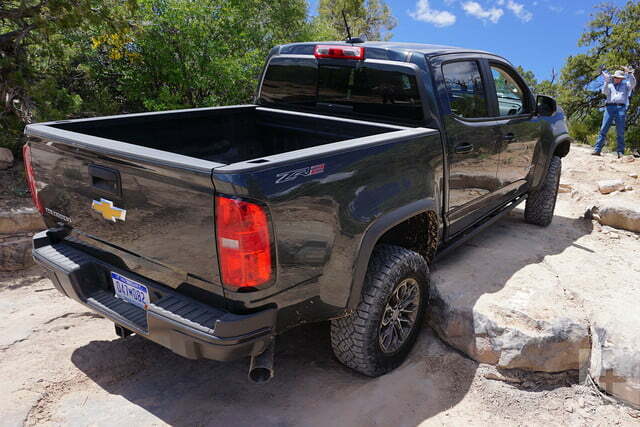 The ZR2 package is new for 2017, and offers some substantial suspension and driveline differences from any other Colorado, including the Colorado Z71 4WD package. The ZR2 is about 3.5 inches wider in both front and rear track, thanks to strengthened front control arms and a special rear axle. Where the stock front control arms are made from stamped steel, the ZR2 uses heavy-duty cast iron units, and special ZR2 heavy-duty steering knuckles. 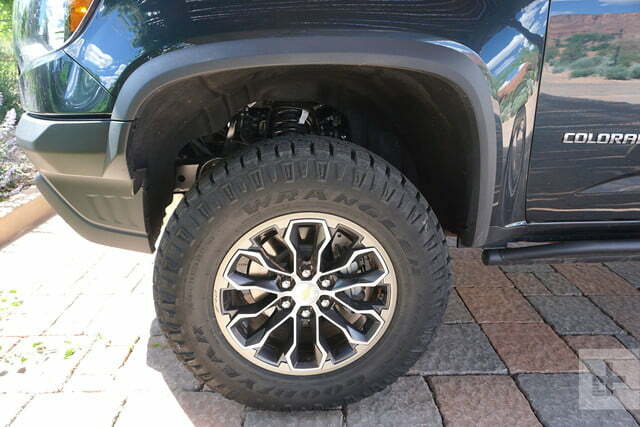 Springs have been upgraded all around, giving the ZR2 an extra two inches of ride height over the standard Colorado. Multimatic DSSV shocks on all corners complete the suspension package. 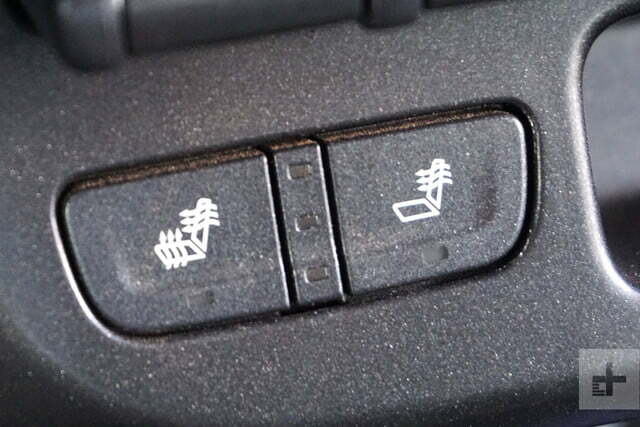 Also new on the ZR2 are the driver-selectable electronic locking differentials in front and rear. 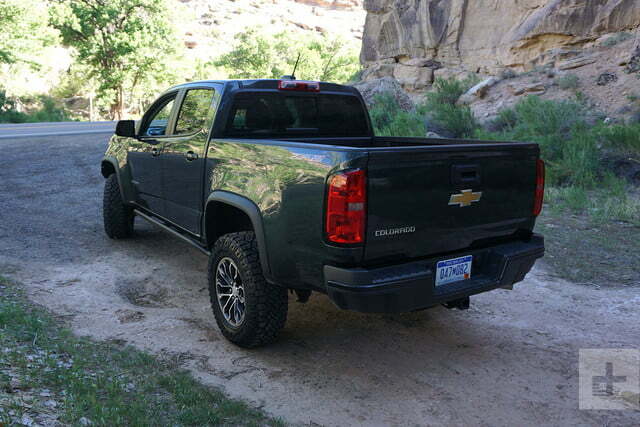 By comparison, the Z71 offers an automatic locking rear differential only. 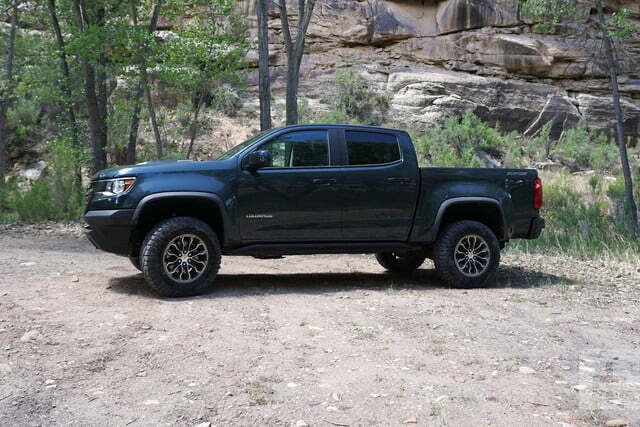 The ZR2 package costs about $5,845 more than the Z71, starting at $42,620 for the V6 Crew Cab and $46,120 for the Duramax turbo-diesel Crew Cab. Or choose the extended cab at $40,995 for the V6 and $44,495 for the diesel. For that money, you get a top-trim Colorado with the suspension described above, the electronic driver-selectable differentials, and a towing package with an integral trailer brake controller on the dash. Where the stock front control arms are made from stamped steel, the ZR2 uses heavy-duty cast iron units, and special ZR2 heavy duty steering knuckles. The ZR2 comes with great-looking 17×8-inch wheels and 31-inch Goodyear Wrangler Duratrac off-road tires. 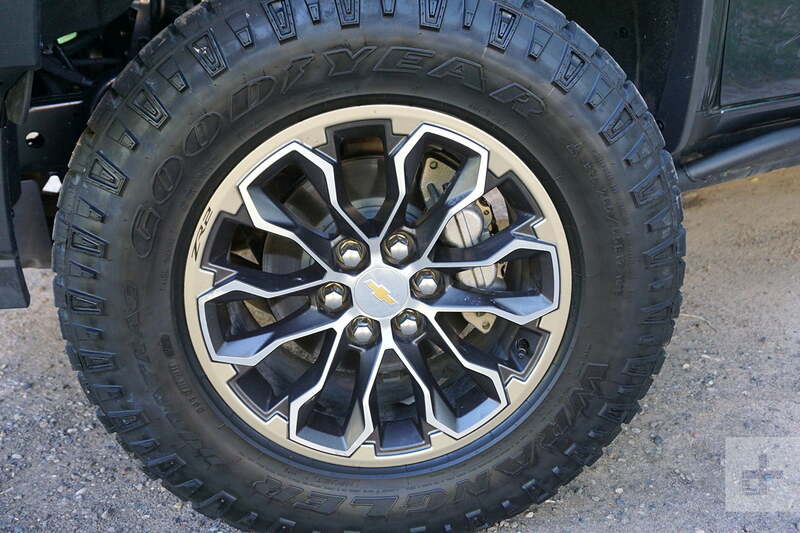 The wheel design is unique to ZR2 and looks great. 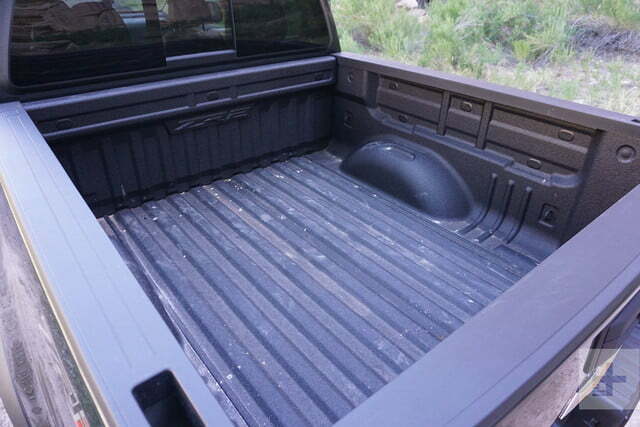 Optionally, you can get a bed-mount for the spare, which is a great idea if you’re going to do serious off-roading. 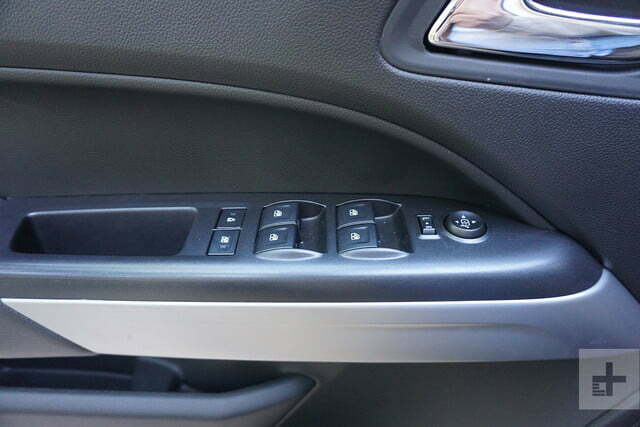 It’s easier to get to, and offers less chance for the spare to be damaged when you’re off-road. The Multimatic shocks deserve some explanation, too. 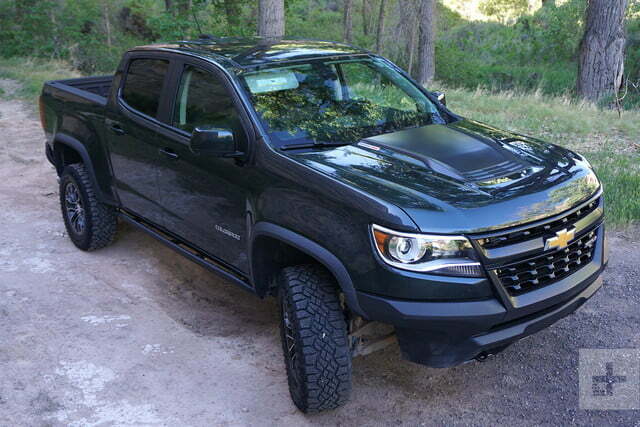 These units are critical to the appeal of the ZR2. Multimatic makes shocks for Formula One as well as various other racing and off-road applications, and their DSSV (Dynamic Suspensions Spool Valve) design is serious equipment for the ZR2 both on and off pavement. 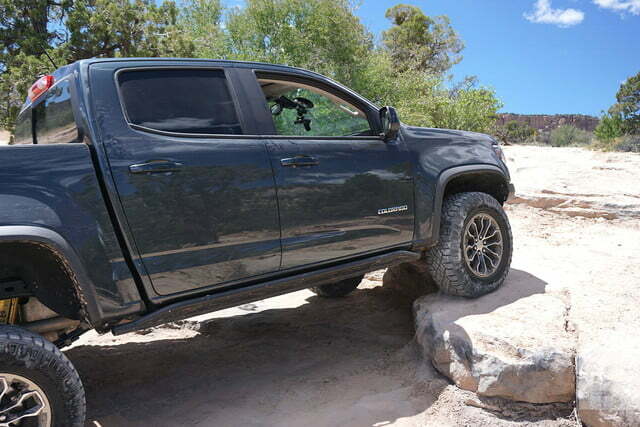 The shocks provide extra suspension travel and compression tolerance for jumping and rock crawling, and at the same time, they provide enough finesse to make the ZR2 one of the best-riding trucks on the market. On the outside, the ZR2 gives you a full visual package. You won’t fail to notice the extra ride height, the standard spray-in bedliner, the aggressive hood and grille design, and the thick aluminum skid plates. Both bumpers have been specially designed to increase tire and obstacle clearance and to avoid snagging bushes along any trail. 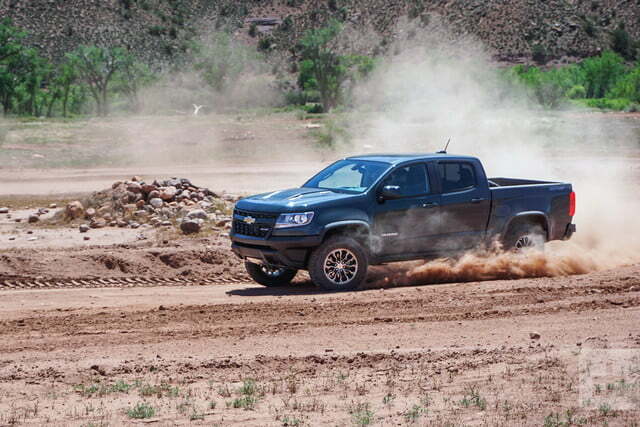 The ZR2 definitely looks the part for off-road use, and it’s far more than an appearance package. 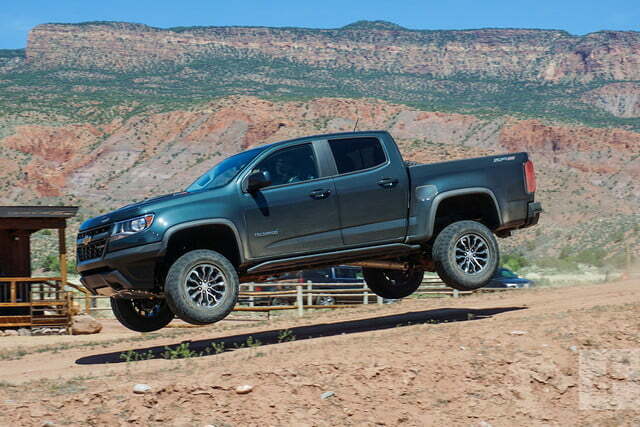 You don’t buy an off-road truck for its stereo, but the genius of the ZR2 is that it’s just as good on the street as it is jumping over a cactus, so you’ll want to spend the extra $500 on the Bose premium audio system. You would also do well to bump up the standard Chevrolet MyLink 8-inch touchscreen to include GPS navigation for $495. You don’t buy an off-road truck for its stereo, but the genius of the ZR2 is that it’s just as good on the street as it is jumping over a cactus. Either way, you still get Chevy’s standard 4G/LTE connectivity package with in-car WiFi that works very well. 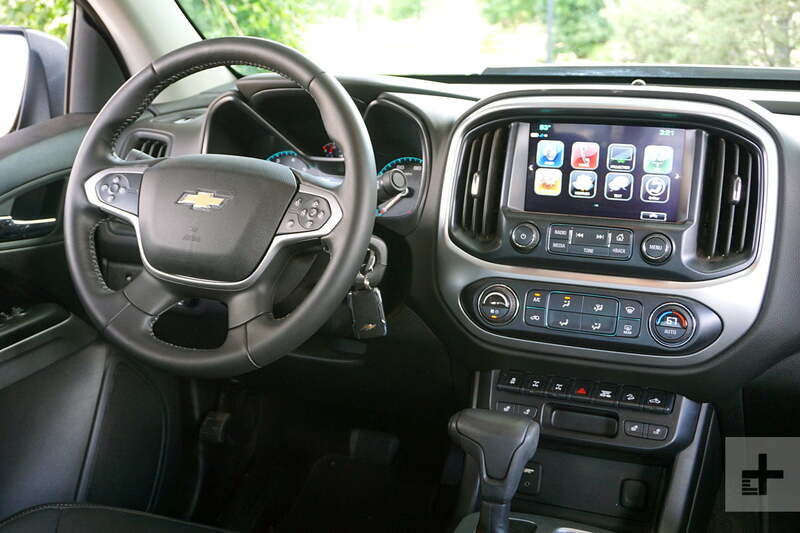 The audio system includes satellite radio, USB, Apple CarPlay and Android Auto, USB interface, all the usual stuff you expect. 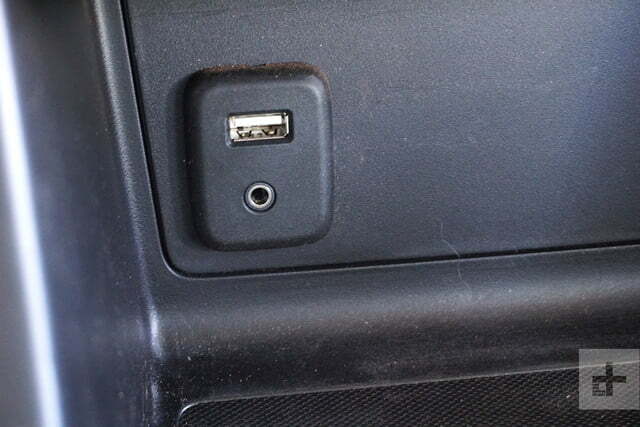 You also get standard wireless phone charging, if your phone is set up for it. We tested the upgraded Bose stereo, and it’s great. The Navigation is clear and easy to use – or you can just punch up the OnStar system and tell them where you want to go and they’ll download the directions to the nav system for you. It really could not be easier. 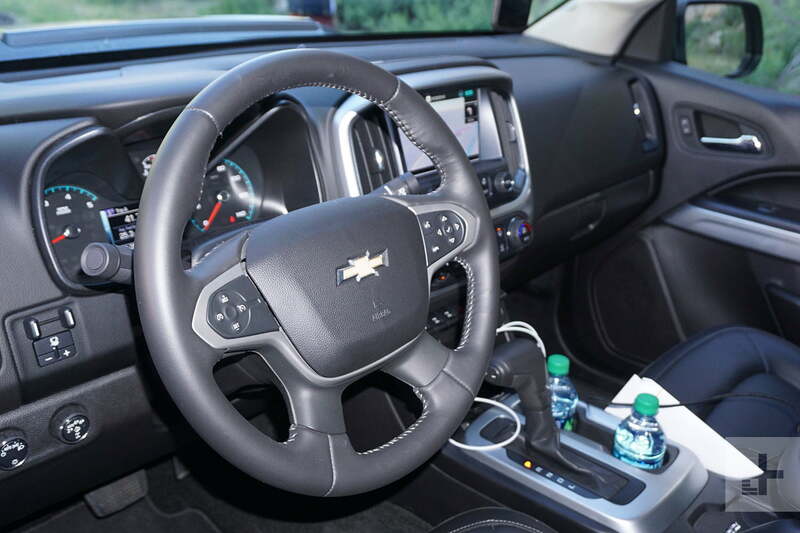 As far as driving tech goes, the ZR2 is free of a lot of the nagging devices that are proliferating through the industry. 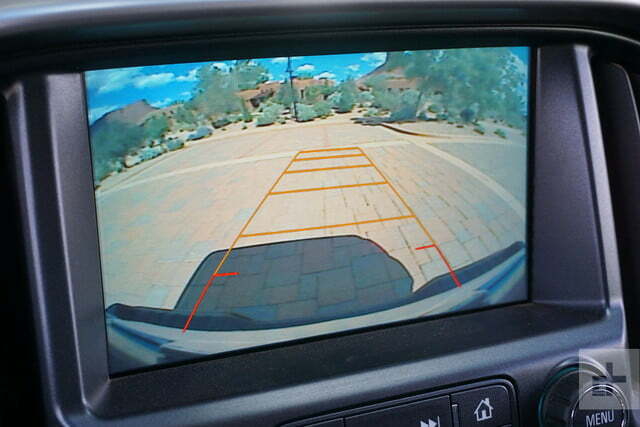 There’s no lane departure or parking control to beep at you. 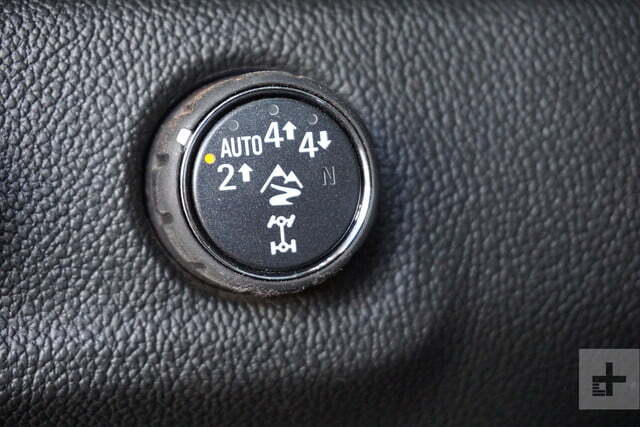 You do get stability control, but you have three levels you can set depending on your needs – full stability control, a little bit of yaw, or a lot of yaw allowed. You can never turn it all the way off, but if you find yourself running the Baja 1000, you can put the ZR2 into serious fun mode. 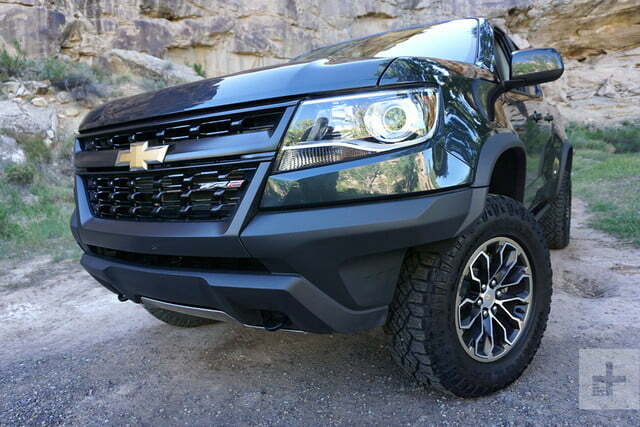 Inside, you’re getting a top-trim Colorado with the ZR2 package. 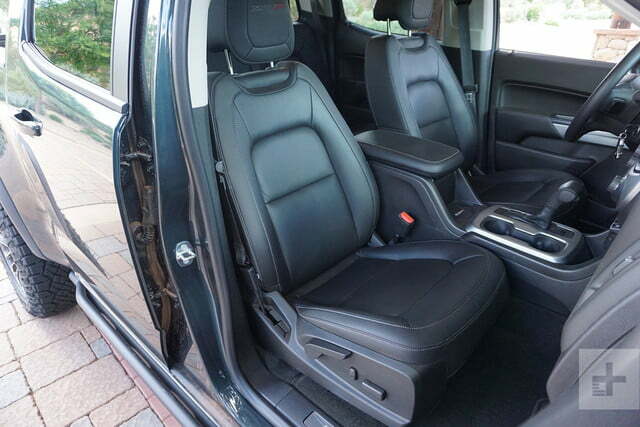 Leather upholstery is standard in front, and you get power-adjustable and heated front seats. 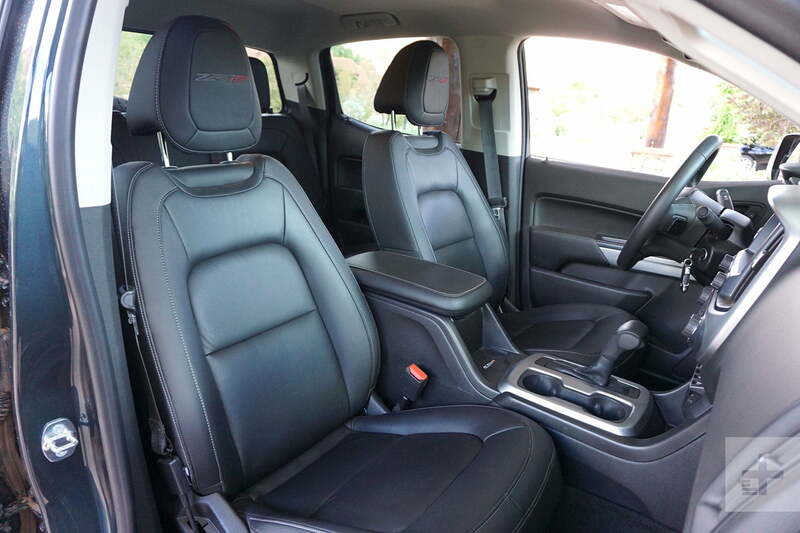 The seats are comfortable, and while you might need to hang on some in high-G off-road maneuvers, these are seats you will be happy to live with every day. Under your feet you get the default carpet, but you can opt for vinyl at no charge. Serious off-roaders will get the value in that. 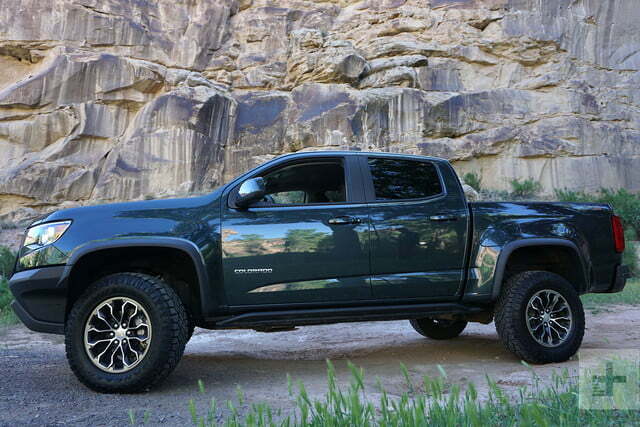 The ZR2 comes in your choice of full four-door crew cab or the smaller extended cab. You can fit 5 adults in the crew cab version with plenty of leg room in back and a 60.9-inch bed, or choose the extended cab with a bit less back seat room to get a 74-inch bed. It’s worth noting that the extended cab version is also a little cheaper, starting at $41,935. Both styles offer you 1,100 pounds of cargo payload, and a 5,000-pound towing capacity. Overall, the interior of the ZR2 is well-made. 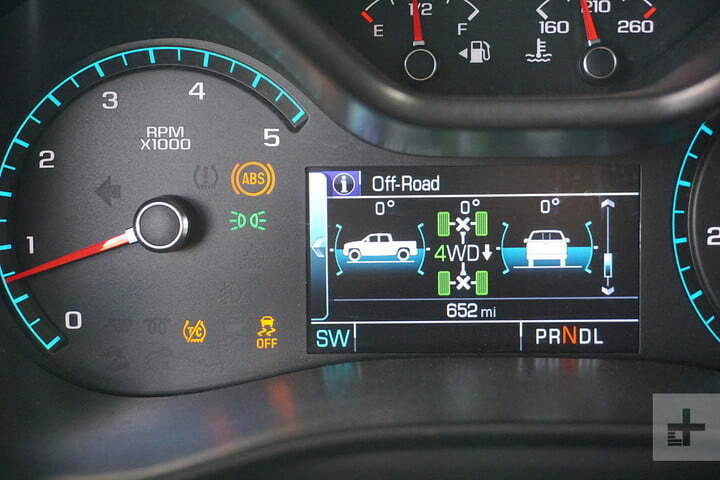 The controls are easy to see and understand and you will be comfortable in it. One surprising benefit is that the ZR2 is quiet on the road. Even with the big off-road tires, you won’t hear any howling and you can carry on a normal conversation. Big points for everyday use there. The best thing about the ZR2 is that when you’re done jumping and crawling and scrambling over whatever happens to be in your way, you can drive home in perfect comfort and control. 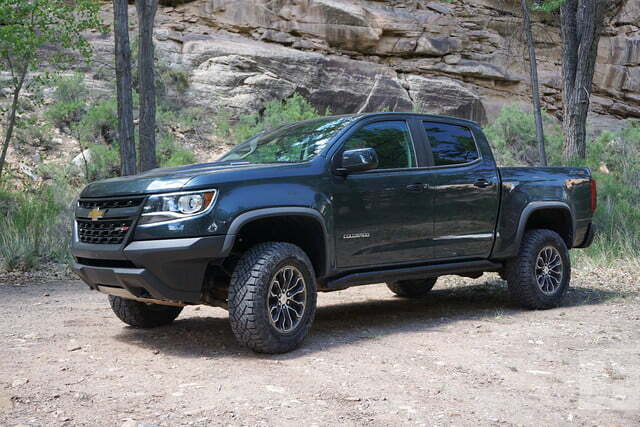 The Multimatic shocks and the ZR2 suspension package have been balanced to give you a smooth and tight ride on pavement, with excellent steering response. 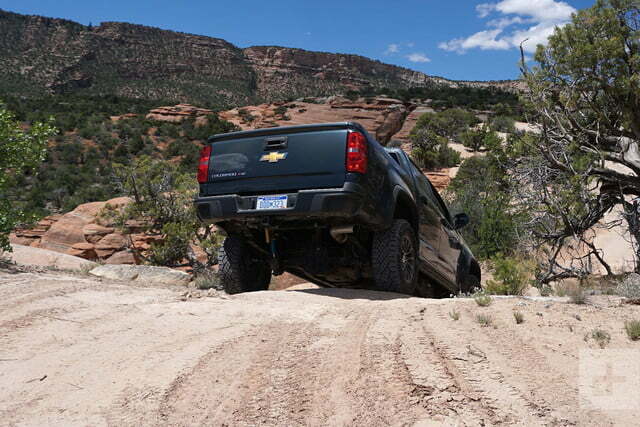 Experienced 4WD enthusiasts know that you usually trade off noise and vague steering response with big tires and an off-road suspension, but not here. The ZR2 is a truck you can drive and enjoy every day, whether you’re driving to work or taking the Rubicon trail. The engine options are both good. 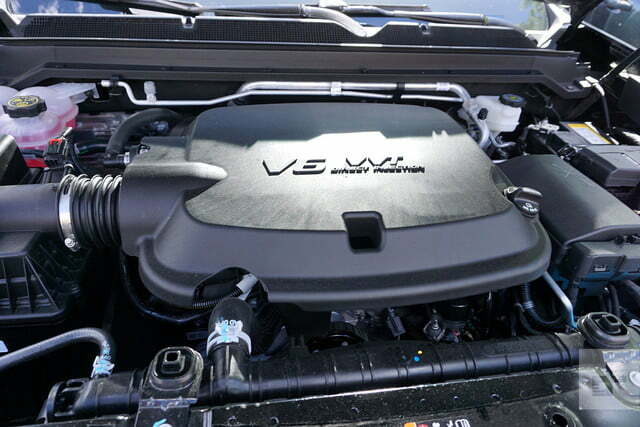 The 3.6-liter V6 has 308 horsepower and 275 pound-feet of torque, and the eight-speed automatic means you’re always in the right gear, or close to it. 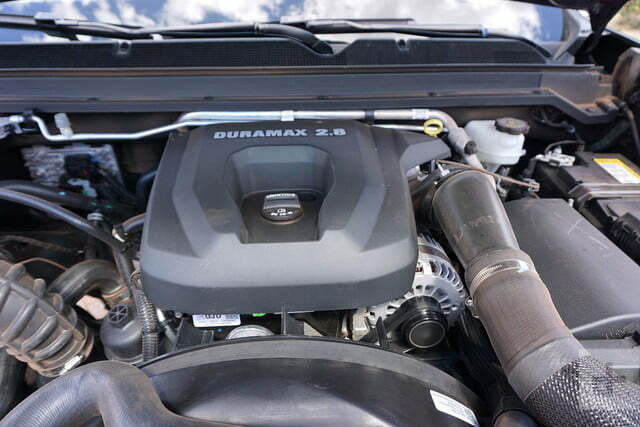 But the 2.8-liter Duramax diesel was my favorite. When the gear ratios are right (and they are) you can get as much out of a six-speed as an eight-speed, and with less shifting. 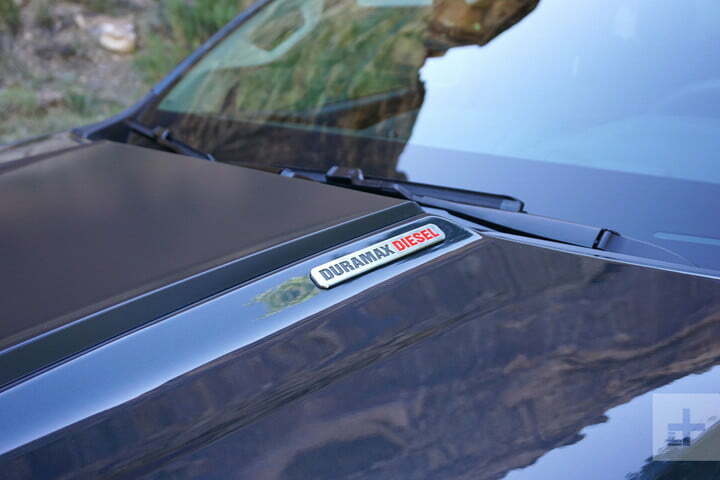 The diesel delivers 182 horsepower and 369 pound-feet of torque. Keep your revs up to maintain boost and the Duramax will really dig in and go. With either engine, fuel economy is not great – but by the same token, it’s as good as or better than the competition in this class. According to the EPA, the Duramax diesel returns 19 mpg city and 22 mpg highway, and the V6 will give you 16 mpg city and 18 mpg on the highway. In our time driving the ZR2, we didn’t do enough highway driving to get a good sense of real-world fuel economy. 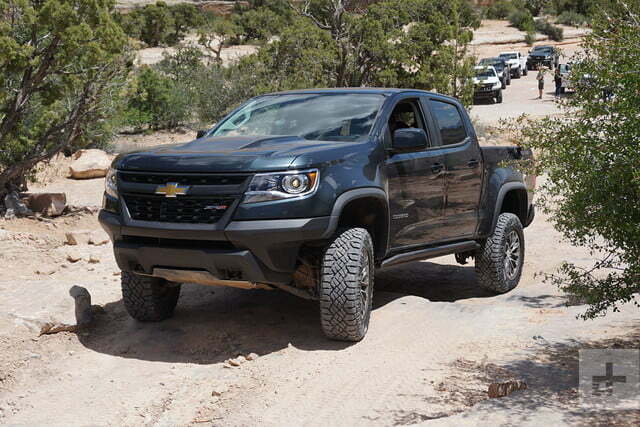 The guiding philosophy of the Colorado ZR2 is, “Hold my beverage and watch this!” But of course, Chevy does their best to make sure that those won’t be your last words. 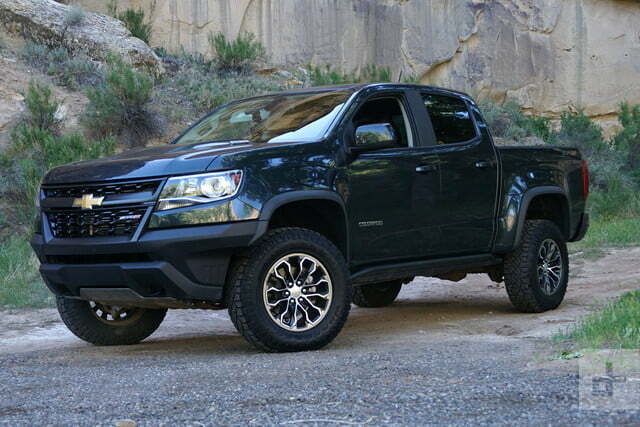 The Colorado ZR2 comes with the usual brace of airbags and useful safety features. As we mentioned, you have stability and traction control, rollover mitigation, AWD mode on the transfer case, hill descent control, hill start assist, antilock brakes, and the very useful reversing camera. You also get trailer sway control on the towing package. Of all the super-tough and fancy off-road trucks available on the market today, the 2017 Chevrolet Colorado ZR2 is the most pleasant to drive on the street. It’s as tough and capable off-road as anything in its class, and it’s comfortable and well-appointed inside. With some of these bro-dozers, you feel like you’re wrestling with a giant if you take it to the grocery store, and the high-powered engines can be a little jumpy. 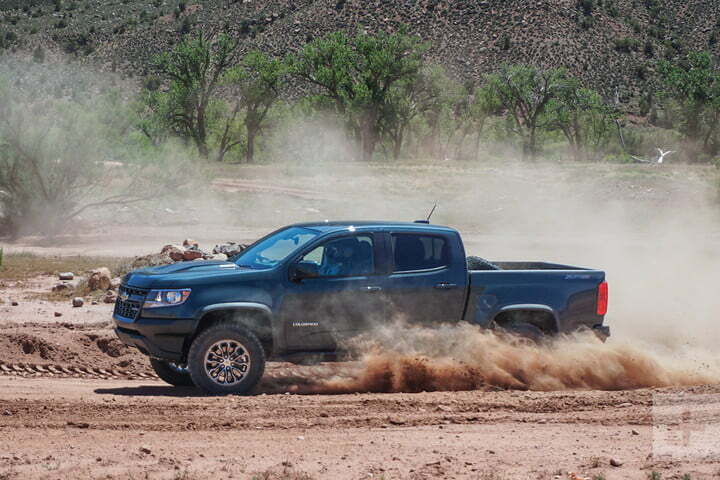 If you’re looking for a truck you can live with every day, the ZR2 is what you want. In fact, it gets my vote for the best truck of 2017, bar none.